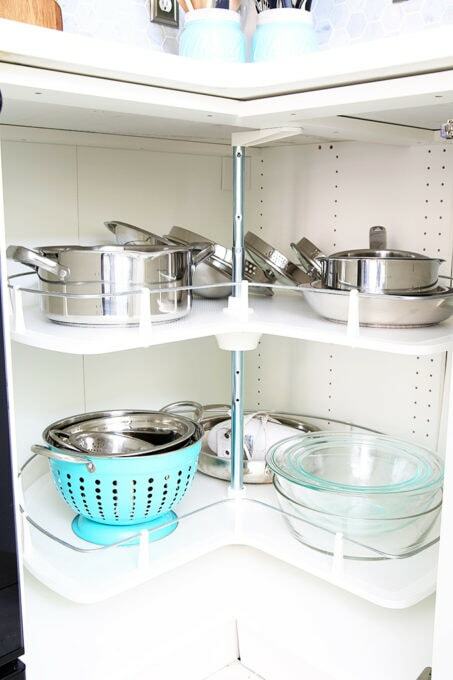 We installed an IKEA kitchen in our townhouse a few years ago, and now that we live in a different house, there are definitely a few things that I’m missing about our SEKTION cabinets! Waaaaaayyy back in 2015 when we still lived in our townhouse, we took on what has probably been our biggest DIY project to date: completely gutting our outdated kitchen and putting in an IKEA SEKTION kitchen instead. Ever since completing that project, I’ve gotten questions almost weekly about how we liked it and how it’s holding up. We went with the GRIMSLOV cabinet and drawer fronts. We moved out of the townhouse about nine months after we had completed the renovation, and while I’m not sure what condition it’s in now since we’re not in contact with the new owner, I can say that the IKEA cabinets held up beautifully for the entire time we were there– no complaints! 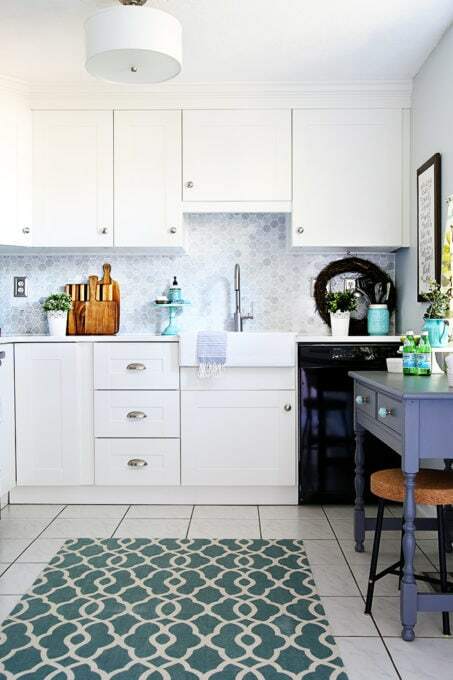 We now have a non-IKEA kitchen, and while there are many, many things that I love about it, I also thought it was interesting that there are several things I really do miss about our IKEA kitchen! I thought I would write them up in a quick post for people who may be considering putting in an IKEA kitchen or are deciding between IKEA and another brand. Here we go! 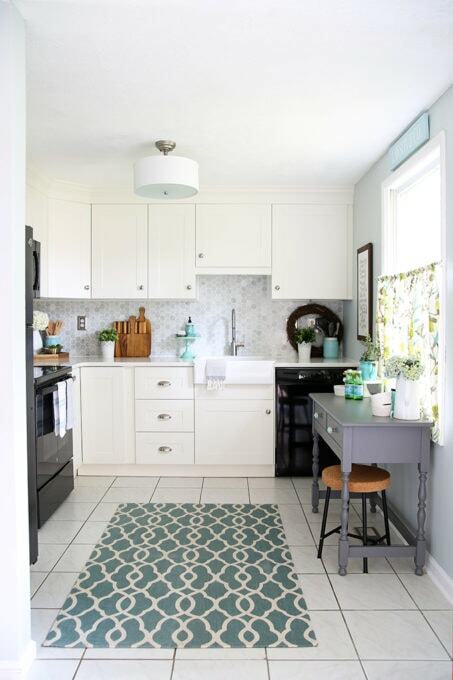 While three inches might not seem like a big deal, it really made the cabinets feel so much roomier. Because our townhouse kitchen was small, we needed every extra inch we could get! The three extra inches also made it possible to store larger items like chargers in the cabinet, which is not usually possible in the standard 12″ cabinets. Going right along with the deeper upper cabinets, the drawers in our IKEA kitchen were much deeper and roomier than the drawers in our current kitchen as well. In fact, I can’t even fit boxes of things like foil and ziplock bags in our current kitchen drawers because they’re just not deep enough. Those items fit in my IKEA SEKTION drawers with room to spare! 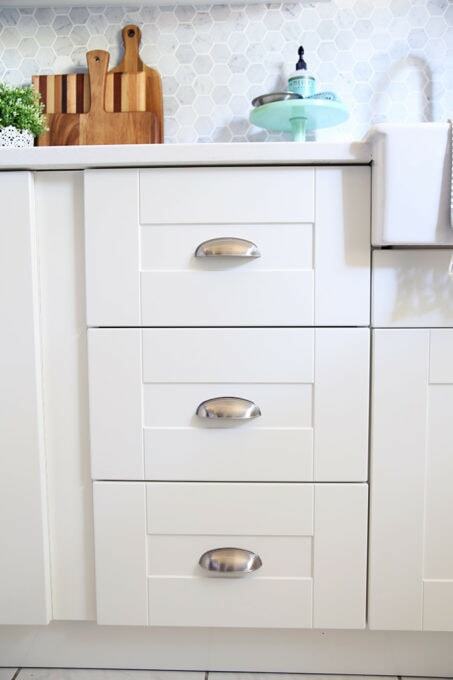 In addition to having deeper single drawers, IKEA also offers a “drawer within a drawer” option, which is especially helpful for maximizing every inch of space in a small kitchen! 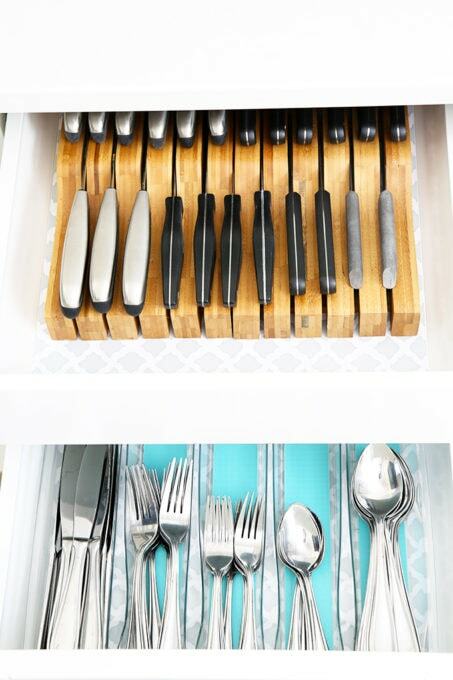 We used this option to store our silverware and cutlery, and it worked like a charm! 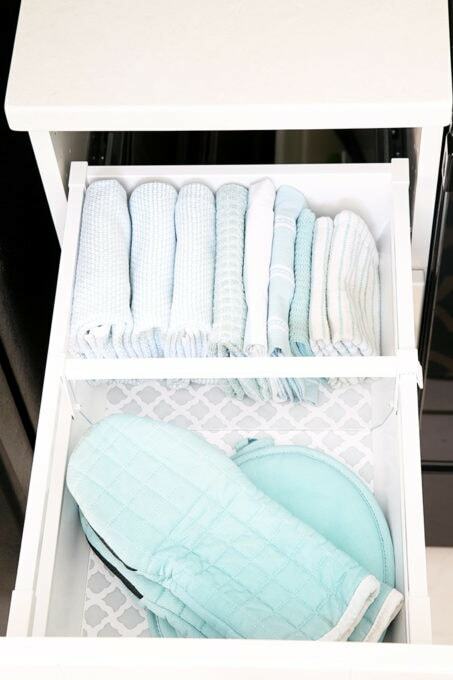 Tip: Be sure to put the items you use more often in the bottom part of the double drawer because that’s what pulls out first when you open it. We put our silverware in the bottom part of the drawer, and then once that part was open, we could choose to pull open the top part to access the knives. IKEA truly thinks of everything, including drawer dividers and organizers that are made specifically for their kitchens. I’m just a little completely type-A, so I like for things to fit exactly right rather than trying to retrofit a storage solution. 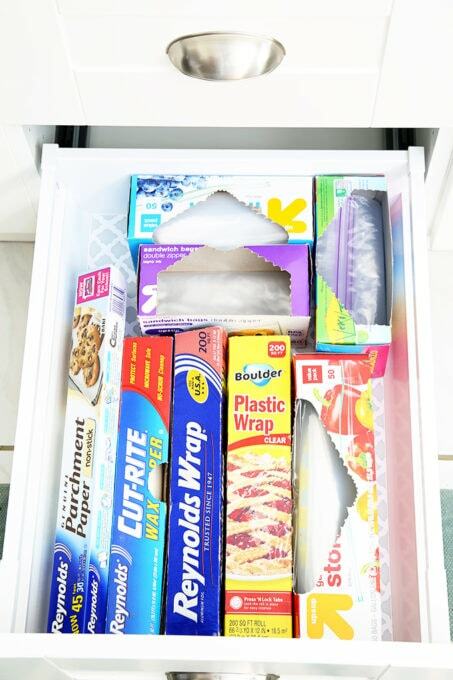 I especially loved these clear dividers that clipped easily onto the drawer and allowed me to create two separate sections for storage within the drawer. 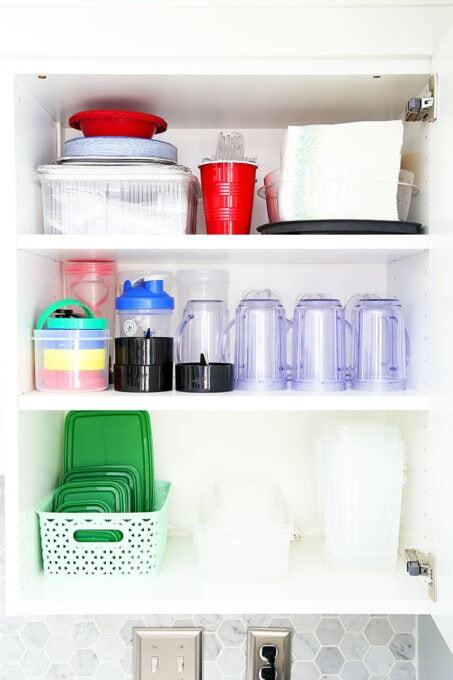 I felt like there was a lot of extra space packed into all of the drawers and cabinets in our IKEA kitchen, including in the lazy Susan corner cabinet. In the townhouse I used the lazy Susan to hold our pots and pans, which was really nice because everything fit in the same cabinet and was easily accessible. When I tried to use the lazy Susan the same way in our current, more standard kitchen, it just wasn’t roomy enough to accommodate all of the pieces. 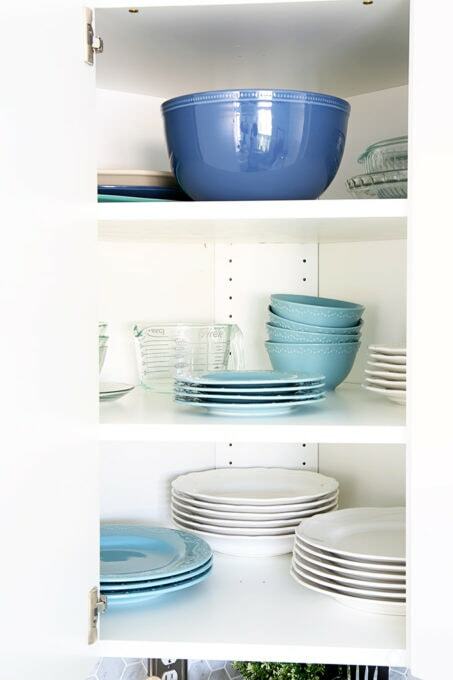 We moved things around and found a different solution for them in our current house, but especially if you’re working with a small kitchen where you don’t have a ton of cabinets to choose from, that extra storage space in the IKEA lazy Susan will make a big difference. 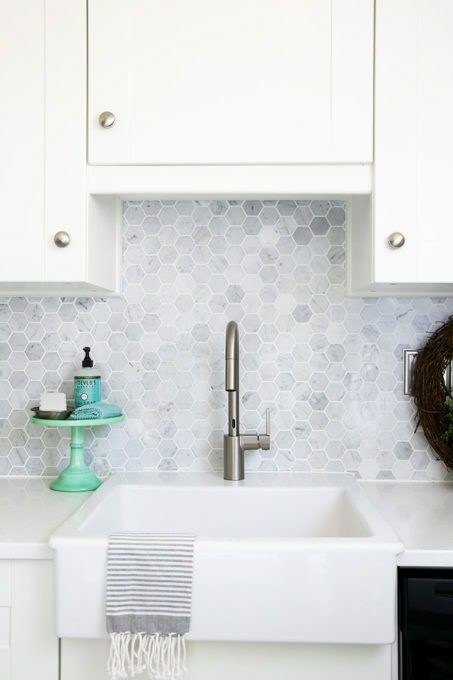 This last one may be cheating a little because clearly you can have a farmhouse sink without having an IKEA kitchen, but I was very impressed by the quality of the IKEA sink and how well it held up. We had the smaller version, but if we had had more space, I would have put in the larger version because it is even more spacious. So those are my 7! The last thing I want to do is seem like I’m whining about our current kitchen– it has so many great features, and I really love it too! But if we’re ever in a situation where we’d need to renovate a kitchen again, I would do another IKEA kitchen in a heartbeat. I was just so impressed with all of the features, and they really do think of everything when it comes to storage and organization. Have you ever had an IKEA kitchen? Did you love it as much as I did? I’d love to hear your thoughts in the comments below! We put one in our old house about 12 years ago…still holding up strong!!!! Hi Abby! We put one in our condo and loved it. The house we’re renting now has an Ikea kitchen and it is fun to see the features the old kitchen didn’t have- things that you love like the lazy susan and the drawer within a drawer. The thing I think I’d miss most about not having an Ikea kitchen would be the soft close doors and drawers- I sure love not having doors slam! Especially with a young son. Yes! Such a great feature, isn’t it? Love!! We put in an IKEA kitchen about 12 years ago. Not Sexton style but Grimslov. The are a reddish wood. All the drawers are metal. Thrilled to report they do not have a mark on them. Wipe clean with a sponge. Extremely well built. Even our friend, who is a carpenter, could not believe how beautiful they are. Would do IKEA kitchen again if need arises. That’s so awesome to hear that they’re holding up so well after all this time! The quality really is SO great! Thanks for sharing, Colleen! Thank you for sharing this. I hope to redo my kitchen one day and this gives me great ideas. My niece is a huge Ikea fan so it’s good to hear this from another person as well. 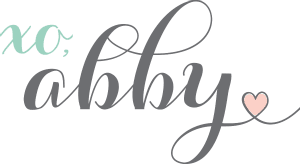 Useful post — thanks, Abby! I’ve spent some time wondering about Ikea’s cabinet quality for when we need to replace/ remodel our kitchen. The European style cabinets are such a better design than the old fashioned face-frame type. So nice not to catch your hand on a lip of wood that’s sticking out behind the doors and limiting usage on the inside! And the hinges are so much more adjustable! That is very true! We LOVED the quality of our IKEA kitchen! It was a very lovely kitchen. Thanks for sharing the pictures.